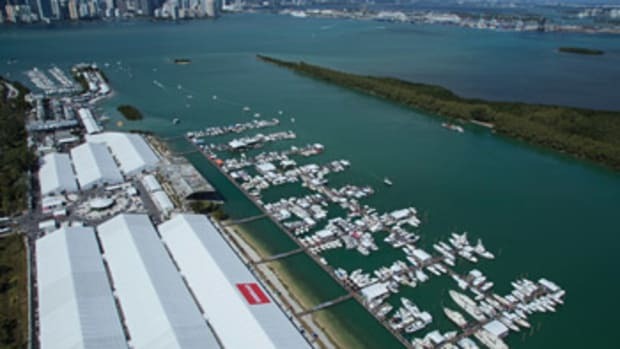 The Miami International Boat Show is one of the largest marine extravaganzas in the world. The 69th annual gathering earlier this winter attracted more than 90,000 visitors and about 2,000 exhibitors to its in-water and conference center sites. Despite the down economy, dozens of new boats and pieces of equipment were introduced. Here are some of the new products gathered by the team of Soundings reporters and editors who scoured the show. 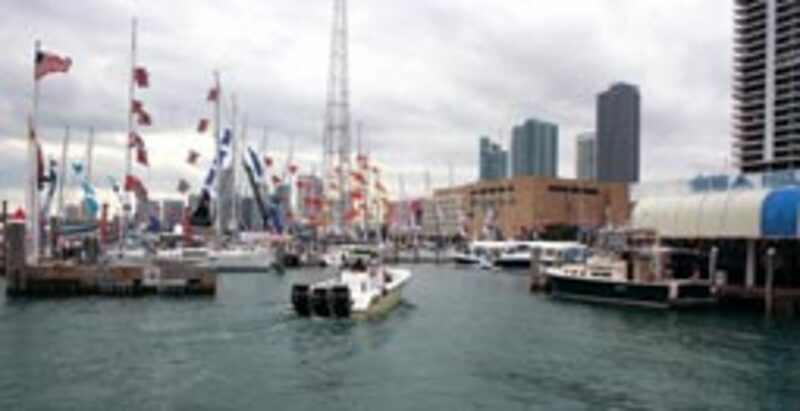 To see a video report on the boat show, go to www.SoundingsOnline.com. 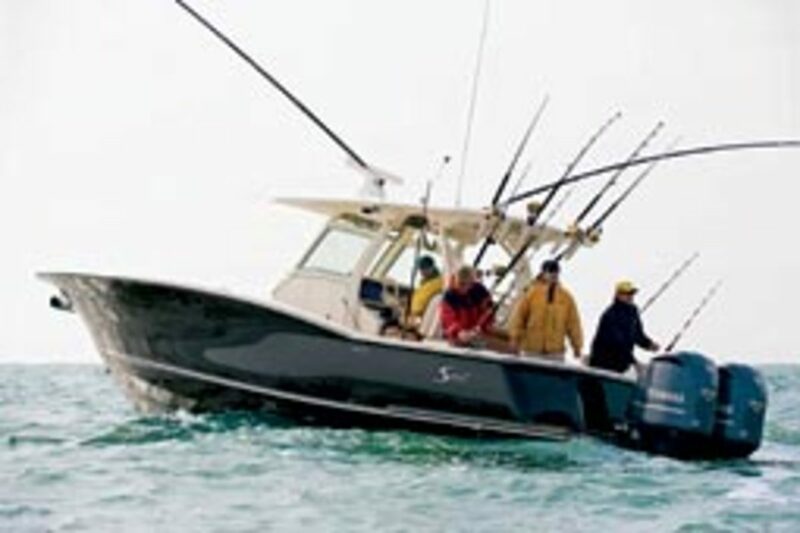 The Grady-White Fisherman 230 rounds out the builder&apos;s lineup of center consoles. Powered with a next-generation 300-hp Yamaha V6 4-stroke, it gets 3 mpg at 30 mph, according to the Greenville, N.C., company. And the boat is easily trailered, with its 8-foot, 6-inch beam. 1 nautical mile per gallon, according to the company. With Caterpillar C9 inboards (575 hp), the boat gets 0.675 nmpg at 27 knots. Power cat builder Twin Vee is back in business, and company founder Roger Dunshee has returned. 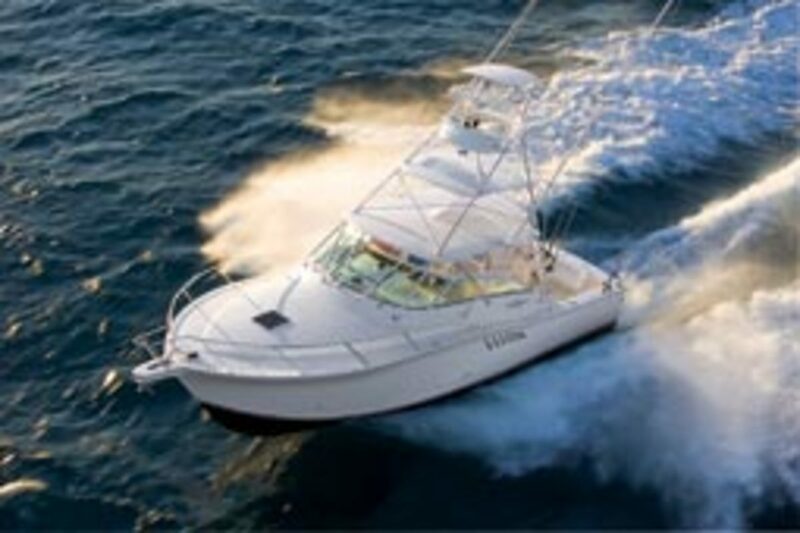 Twin Vee will offer boats from 10 to 36 feet in single-engine Classic and Bay models and twin-engine Ocean models. "We&apos;ve been able to reduce production costs because we are now more efficient in the way we do things," Dunshee says. At the Miami show, 22-, 32- and 36-foot Suzuki-powered models were in the water. World Cat introduced a new 320 center console catamaran, which the company says has the beam, stability and ride of the 330 combined with the styling and family seating of the 290. The new boat is resin-infused, and the builder chemically bonds the fiberglass superstructure, hull and deck. The result is a stronger, faster and lighter boat with improved fuel efficiency and top-end speed, according to the company. Scout Boats introduced its new 34-foot center console, the second-largest boat built by the South Carolina company. The deep-vee will mostly be powered by Yamaha&apos;s new 300-hp 4-strokes for a top end in the upper 50s. Company president Steve Potts says the boat will be a nice bridge between hard-core fishing and cruising. SeaFox showed its new 22-foot Bay Fox, a CAD-designed, foam-cored, stepped hull geared toward near-shore fishing and fuel-efficient operation. Raymarine showcased its new E-Series wide-screen displays. Director of marketing Jim Hands says the displays were introduced last October, and the company started distributing them in January. They are available in 9-, 12.1-, and 14.1-inch sizes. "In the past, multifunction capability on smaller screens was a little bit of a compromise," says Hands. "Now that we have more real estate in a small footprint it really becomes a very functional device." Raymarine also highlighted its new high-definition digital radomes that connect to the E-Series wide-screen. Mercury Marine announced that it is now capable of installing quadruple CMD Zeus pod drives. The first quad-Zeus boat - a 60-footer with four 600-hp propulsion units - was on display at the show. Mercury also introduced a Hybrid Concept Vessel, a large express cruiser with diesel and electric power in a Zeus configuration. "Hybrid propulsion is a no-brainer when you look at automotive or industrial vehicles or buses," says Dan Balough, Mercury chief program engineer for hybrid and electrical systems. 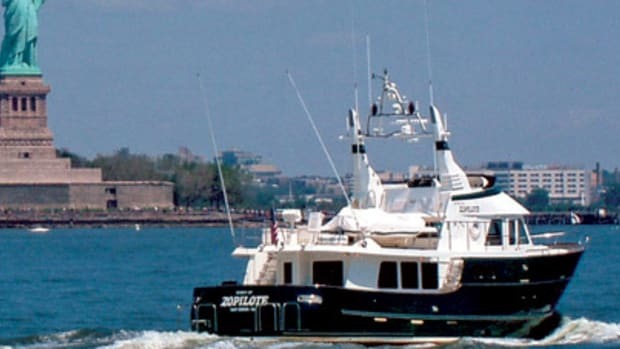 "A few years ago we recognized the trend, and we started to dabble and see if it was worthwhile for recreational marine." Fueled with positive feedback, Mercury is going forward with plans to produce a hybrid production boat, says Balough. "There are a lot of things that have to fall into place for that to happen, but the feedback has been really good, so I think it&apos;s just a matter of time before it happens," he says. The operator can switch between electric and diesel power or let the computer do it. The boat can run up to about 10 mph with its twin 100-hp electric engines, after which the 550-hp CMD diesels take over. 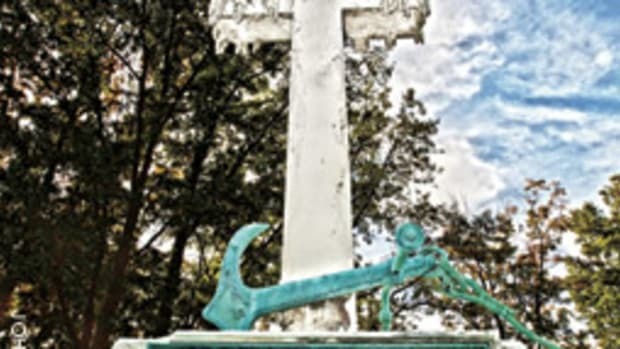 Electric power was also used with Zeus&apos; Skyhook function, which uses GPS to hold the boat in position. Other new products include the MercMonitor ECO-Screen, a SmartCraft helm control and monitoring system that helps maximize fuel efficiency by monitoring engine rpm, boat speed, fuel consumption and engine trim. Mercury says it can improve fuel economy 10 to 20 percent. 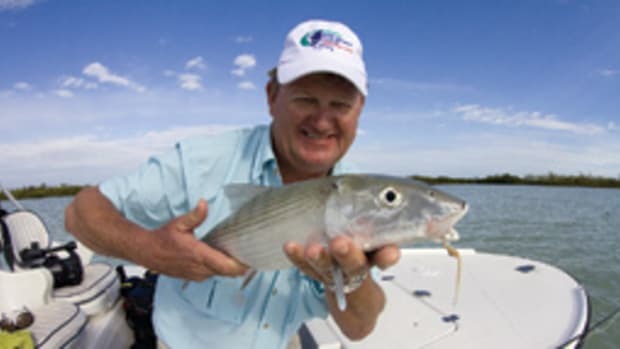 The product was named West Marine&apos;s Green Product of the Year. Mercury also introduced a new 8.2-liter big block gas engine, four OptiMax 2-strokes from 115 to 200 hp, and sportfish-style controls designed to operate with any of its SmartCraft Digital Throttle and Shift propulsion systems. Honda and Suzuki introduced new 4-stroke outboards at the show. Suzuki unveiled 40- and 50-hp models, while Honda debuted a 115-hp engine. Both manufacturers say these next-generation outboards are more fuel-efficient, lighter and better performing than their predecessors. "Just because you have a 40 or a 50 doesn&apos;t mean you can&apos;t have the best motor around," says Suzuki marketing director Larry Vandiver. The 40 and 50 consume 23 percent less fuel than their predecessors and have a 6 percent higher top end, according to Suzuki. Acceleration also is improved. The engines share the same inline 3-cylinder dual overhead cam configuration, with a 57.4-cubic-inch displacement. They use Suzuki&apos;s lean-burn control technology, which controls the fuel-air mixture in these direct-fuel-injected outboards. Honda&apos;s new BF115 is based on its popular Honda Accord automobile engine and shares the Accord&apos;s inline 4-cylinder, 2.4-liter dual overhead cam engine platform. "The BF115 will be able to produce class-leading performance with unparalleled fuel efficiency and reliability," says Sara Pines, regional manager of Honda Marine public relations. "Plus, the new BF115 will feature design cues similar to its recent predecessors, the BF40 and BF50, BF75 and BF90, and BF105 Jet, including the wing-form design of the cowling and a performance-oriented gearcase." Like the 135- and 150-hp models from Honda, the BF115 is equipped with "lean-burn feedback," which adjusts the air-fuel ratio, according to Honda OEM account manager Dennis Ashley. "It&apos;s all done by an exhaust gas sensor," he says. It also shares Honda&apos;s BLAST - Boosted Low Speed Torque - technology, which advances the timing and gives the engine more fuel to push the boat "out of the hole," says Ashley. ACR Products introduced a new 406Link.com service enabling owners of 406 MHz EPIRBs and PLBs to test their beacons through the Cospas-Sarsat satellite system. The self-test burst is routed through the satellite system and back to a ground station, and a confirmation text message and e-mail is sent to the account owner. With "Plus" service, the confirmation messages are sent to up to five contacts, and a preprogrammed message that all is OK can be included. 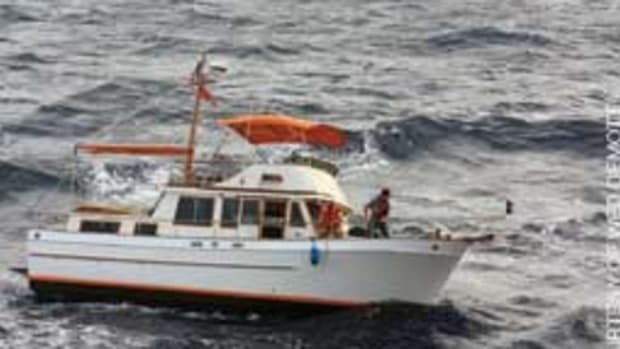 Trip planning and a GPS test feature are included in this service, and newer GPS-enabled PLBs allow users to send a hyperlink map with the boat&apos;s location. "The whole idea is to let people know you&apos;re OK, but also so you are assured your unit is working through the whole system," says ACR representative Ed Morris. Annual subscription fees are $39.99 for 406Link Basic service and $59.99 for 406Link Plus. French EPIRB manufacturer Kannad Marine, which British safety gear manufacturer McMurdo Ltd. bought last November, introduced its 406 Safelink EPIRB with user-replaceable batteries. McMurdo president Jeremy Harrison says it should cut the cost of servicing the beacon every five or six years by about half. "There&apos;s nothing like this on the market today," he says. Revere Survival Products is handling the Kannad product line in the United States, Canada and Latin America. McMurdo expects to release its Kannad Safelinks worldwide in April, but a spokesperson for Revere says U.S. sales await Federal Communications Commission approval. Spot, manufacturer of the inexpensive messaging device that can send an emergency alert or preprogrammed non-emergency message to a private ground station via satellite, announced a week after the show that it is replacing all new SPOT Satellite GPS Messenger (SPOT 2) devices it has sold since their introduction in October. The company voluntarily called for the return of early versions because they "may not meet battery and messaging operating specifications." A SPOT 2 costs about $150, plus $100 or $200 a year for service, depending on add-ons. The Beneteau Group and Valence Technology, manufacturer of high-performance lithium iron magnesium phosphate batteries, announced a partnership whereby Valence will supply batteries to the builder over the next five years as Beneteau moves forward with plans to develop hybrid power systems for its recreational and commercial boats. Beneteau has partnered with propulsion and transmission manufacturer ZF Marine in outfitting a test hybrid-electric sailboat. 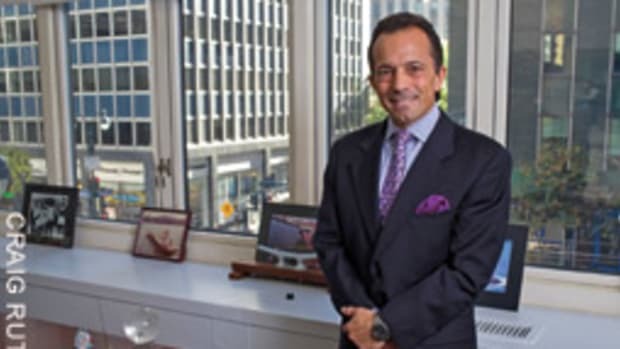 Jose Miguel Diaz Escrich, commodore of the Hemingway Yacht Club near Havana and new director of Cuba&apos;s Marlin Group, told a gathering hosted by the International Superyacht Society that the island nation is building a 1,200-slip marina, as well as other facilities, in anticipation of a change in the U.S. travel ban. Seventy percent of Cuba&apos;s coastal waters are "sailable by vessels over 26 feet," Escrich says, wooing the megayacht sector. Cuba has 15 marinas and about 800 slips, not nearly enough to accommodate the flood of boats expected if the island opens to U.S. visitors. Escrich anticipates a surge in interest in cruising Cuba among charterers and megayacht owners. The island has a few megayacht slips, but the 1,200-slip marina planned for Varadero on the northwest coast will have 20 big-yacht slips. 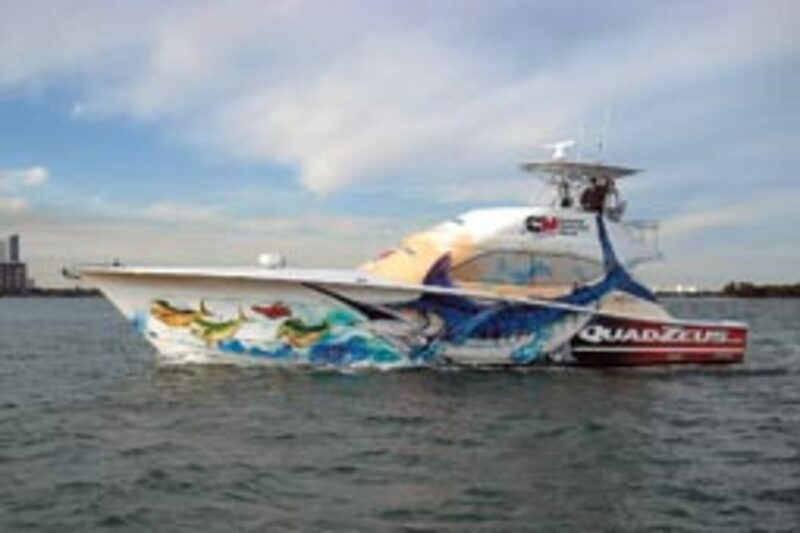 Sea Hunter, the Princeton, Fla., center console builder, showed a 30-footer with a carbon fiber/Kevlar hull powered by twin 250-hp Yamahas that it built as a patrol boat for the Florida Keys National Marine Sanctuary. "It fits the bill for the type of patrolling they plan to do and the kind of money they have to spend," says John Schiffer, Sea Hunter operations manager. Beginning in 2014, satellite communications company Iridium will start replacing its constellation with 60 new-generation satellites so it can continue to deliver voice and data services from pole to pole, says Ted O&apos;Brien, Iridium general manager for the Americas. The new satellites will have the capability to handle much higher data rates and two-way digital communication with PLBs. Iridium&apos;s customer base numbers are "350,000 and growing," O&apos;Brien says. The company recently came out with a satellite phone that is the smallest he knows of - 5.5 inches long, 2 inches wide, a little more than 1 inch deep. It weighs just 9.25 ounces. O&apos;Brien says his son took a 120-mile kayak trip through the Everglades and called home every night to say he was OK. "There&apos;s no other way to do it [except by satellite phone]," he says. Iridium plans to give one of its phones to a mountain-climbing team this spring and have them call from Mount Everest. In the electronics room at the Miami Beach Convention Center, several manufacturers introduced new products. Simrad and BEP (part of the Marinco group) worked together on what Simrad is calling the "first integrated multifunction system with autopilot" on the market. The central control unit enables digital switching, monitoring and control capabilities in the Simrad NSE multifunction display. This eliminates considerable wiring, saving weight and simplifying installation and repairs, as well as saving space at the helm, according to the company. It enables Simrad to integrate its NSE with autopilot control, CZone digital switching, monitoring and control. A master switch fob shuts down the entire electrical system with one button push. Lowrance&apos;s new StructureScan sonar has also been integrated. As of the Miami show, about 70 boats, including Cigarette, MasterCraft and Riviera, had installed the system. Furuno announced a "major software update" to its NavNet system in March, switching from Navionics Jeppesen C-MAP charts. Raymarine introduced a "fully functional" virtual sea trial kiosk - a full helm station with a video game screen - to let people try its E-Series software off the water. Cobra touted its $179 floating hand-held VHF that wirelessly connects to a cell phone, so the ring comes through the VHF. Although it also works as a typical VHF radio, the cell phone function is limited to normal cell range. Digital Yacht introduced what it calls the "world&apos;s first" chart plotter with built-in AIS, the SmarterChart 500 AIS Combo. FLIR&apos;s First Mate XP and XP+ feature improved 320-by-240 thermal image resolution, improved environmental survivability ratings, and still-image capture capability. FLIR also announced the release of a single-payload variant of its M-Series camera, providing 50 percent better range performance over earlier single-payload thermal night vision cameras. Marine satellite antenna manufacturer Intellian announced the availability of three new VSAT communications antennas - the v130, v110 and v60. Designed for commercial and recreational use, the antennas provide uninterrupted broadband connectivity for worldwide on-demand communications. On the water, Boston Whaler introduced the 320 Outrage, which rides the same hull as the previous 32 but with a new deck and interior to match the look of the other Outrage models. Vicem introduced the 54 IPS, its first boat with pod drive propulsion, and the 57 Sportfish made its U.S. debut. The Turkish boatbuilder is ramping up its U.S. presence - about 50 percent of its market is here - expanding its brokerage, moving to a new U.S. headquarters and adding a sales office to its Lauderdale service site. The builder also is expanding into bigger boats, with three - all Frank Mulder designs - in production. A 150-footer will be the first launched. 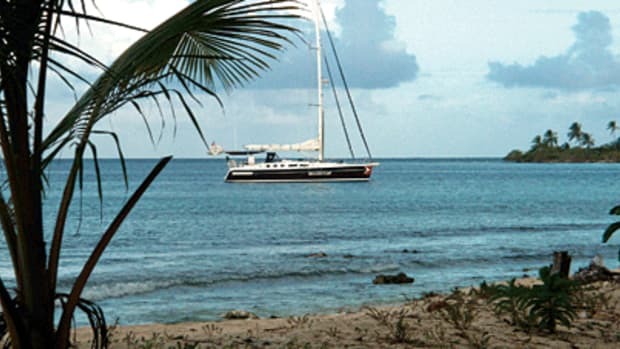 Grand Banks appointed Galati Yachts and HMY as dealers. "We wanted to create a synergy of well-run organizations that do things right," says David Hensel, director of brand and marketing. All three were side-by-side in a display that allowed customers to move directly from one company to the next. HB Marine and Independence Green Yachts will form a joint venture to pursue the development of the solar- and hydrogen-powered Independence 60. Among accessories, Austrian Peter Leeuwenburgh is recruiting U.S. dealers for his TurboSwing. It&apos;s a stainless-steel water sports tow bar that mounts to the outboard&apos;s bracket and allows the tow rope to slide from side to side so weight remains balanced for better helm control, tracking, stability and response. Hickory Springs Marine Group introduced its SeaComfort mattress that uses a polyurethane foam derived from soybeans rather than petrochemicals at about the same price. This article originally appeared in the May 2010 issue. 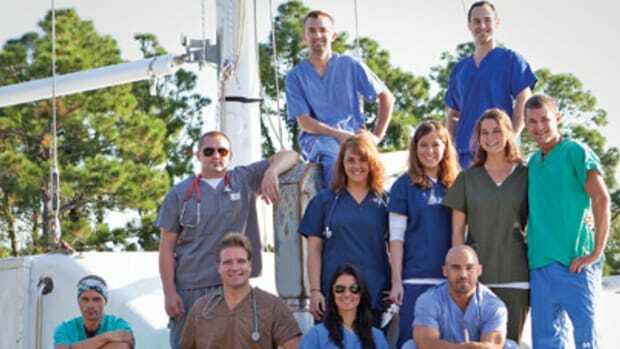 A Haiti crisis-call for the motorsailer M.D.